One of my drivers who is setting out on his own with his own authority is using this to track his miles. I am really impressed with this app and If i had access to this years ago I would have had all of my drivers using this. I think it would make any IFTA auditor happy to see company using this. It's called simple due to being so easy to use. Enter your odometer when you start the first trip of the quarter, enter again when you cross state lines, and finally at the end of the quarter. Enter fuel when you stop for fuel, you already entered the state when you crossed the line, so it's already taken care of. Smart enough to know what states you can cross into when you go to enter the next! If you entered your starting state at the beginning of the quarter, from that point on only states that you can cross into will be offered as options when you enter a state line odometer reading. No need for scrolling through a long list of states, only the ones that are possible are there. At the end of the quarter, start up SimpleIFTA again and it will ask you for the ending odometer reading. You can then you can start the next quarter. When the quarter is complete, view the report to get the numbers for your filing. Only what you need is shown. Including total miles traveled, total fuel purchased, and the important miles per gallon that the rest of the filing will depend on. Only states with travel will be listed, along with individual miles and fuel purchased. 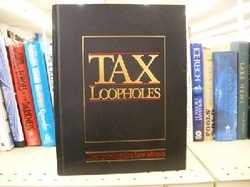 Copy it over to the filing form and figure the tax. Want more? After you complete a quarter, you can download active rates when they become available(typically during the last month of the quarter). When you go to view your report, the download option is visible. After downloading, you will see a completed report along with all tax values pre-calculated... put the calculator down, you won't need it! International Notes: ONLY US LOWER 48 STATES ARE COVERED. If you want Canada added, just let us know. Canadian Note: Values are NOT Converted. Only use Gallons when entering fuel. Odometer entries are Assumed in Miles are calculated for mpg/taxes so keep entering odometer readings in Miles. Life is a puzzle. It's full of millions of problematic pieces which don't always fit together in the way that it seems they should. From a distance, the puzzle just seems like one huge mess and this can be overwhelming. 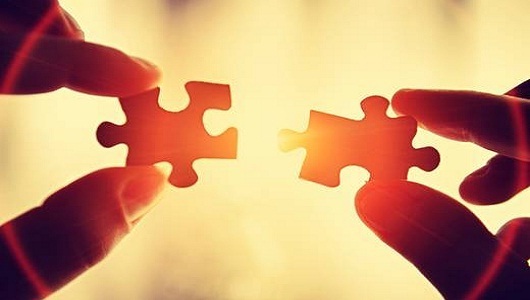 However, when taking a closer look at the puzzle, we can see that one edge might align with another; and slowly over time we can start to re-build the puzzle into a clear picture. In business this is called taking an analytical approach. And while it is still important to see the overall picture of the business; we still need to be able to take closer look at each problem whenever it arises, in order to resolve it. By writing the problems down on a list, they become manageable facts rather than the emotional mess that they often become in our mind. Which problems cannot be solved? What can be done now? What can be done later? What has to be done at a set time? - Start by taking the problems that can't solved by you and find a way to forget about them. I find that prayer often helps with this. - Take the problems that don't have to be done now, but have to be done or addressed at a set time in the future; and apply them to a calender or date book and then forget about them. -Take the list that can be done later at any time and set it aside until the problems that have to be taken care of now have been resolved. -Take the final list of problems that need to be taken care of now and start by addressing the easiest and quickest problems on that list. After this is done gradually work down the list completing each one. If any problem on that list is too big, break it down again into manageable problems. - If you are able to and have the time to address them return to the list of problems that can be done at a later time; and start working through those problems. - Some problems are larger than others and require more time to be taken care of. - Conflicts and communication break downs should be addressed immediately. They can call everything to fall apart in an instance. - If something doesn't feel right, go through all your problems and make sure your not missing something. One of the best pieces of advice I ever had was from a karate instructor. He said,"If something doesn't feel right check it out. Is looking stupid worth more than your life?" Answering machines. Everyone has to deal with them these days. Companies and Agencies set them up with the best intentions - to help their customers and clients navigate to the right person within their company. However, most of the time these machines just divert the companies customers round and around in circles within the machines system. There is nothing that can be done by the customer to fix these machines, but the they can use a few tricks in order to get around them more quickly. Before calling any company attempt to use their website. Either to get the information you need or to find a quicker solution to your problem, or just to get the right numbers and information before you call them. Attempt to follow the answering machines guided tour. Keep handy paper and a pen so that you can write down your number selections. These allow you to get through the machine more quickly in the future if you wish to call back or if you get disconnected. If you wind up at a dead end on the answering machine hit "0" or "#". This will usually get you to an operator (or disconnect you). If this doesn't work go through the phone and select options that you think will get you to a live person. This might be as simple as telling the machine that you speak Spanish ( I can't bring myself to do that, but supposedly it works). The live person can then transfer you to the place where you need to go. When you get there make sure you get the direct number or extension to that person. If you have an accent (like I do) fill out as much info as possible using your phones keyboard. If all else fails screaming "Customer Service" at the machine will usually get you to a person. If a company or agency you call has you on hold for 1 hour or more, try and call early in the morning on Tuesday, just as soon as they open and you will often get straight through. Many larger companies and agencies send out their collection notices, bills, etc. on Thursday or Friday along with their payslips and paychecks. As a result Monday, Thursday and Friday can be difficult to get through on the phones. If a problem cannot be resolved over the phone, try and go to a branch location and have one of their employees try and resolve the issue. If they have to go on the phone, they can usually get straight to the person you need. Some companies and agencies function better through the email system. If a response comes within 1-2 hours of being sent, you have struck gold. If a response does not come back for a week or more then try a different solution. Problems can also be resolved through social media. Sometimes a simple comment on a companies facebook page or twitter account can result in a prompt call back. It's Driver Appreciation Week. But to really appreciate drivers, it takes a lot more than T-shirts, hats and picnics one week out of the year. One of the most important keys to appreciating -- and keeping -- good drivers is through good communication. FleetRisk Advisors recently put together a list of tips for effective communication between fleet managers and their drivers. The relationship between fleet managers and drivers is crucial to the safety, productivity and satisfaction of the driver, and profitability of the entire fleet. Fleet managers that opt to implement a more people-centric approach to driver management will foster a culture of achievement and driver retention. Regular and proactive communication is essential to fostering a positive relationship between fleet managers and drivers. Managers should be prepared to have open and honest discussions with their drivers, learn more about their daily lives and examine their satisfaction. In some cases, regular, proactive communication can prevent a talented driver from walking away from his or her job. Because communication between fleet managers and drivers should not be purely transactional. Fleet managers who take the time to personally communicate with drivers in a targeted and efficient manner will help improve driver safety, productivity and overall job satisfaction. As the saying goes, timing is everything! Talking to the right driver, about the right topic, at the right time increases the likelihood of a fleet manager being able to pinpoint an at-risk driver, and intervene with a proactive conversation that could prevent a potentially negative event. The way fleet managers approach drivers greatly affects the result of their conversations. Using a positive and constructive tone when speaking with drivers naturally leads to better results and cements the fact that drivers are valuable assets. There's one "W" missing here: Where. And the answer to that should be, at your fleet. This is something I found out recently which is incredibly important for companies to understand. There is often a difference between the odometer reading on the dash board and the odometer reading on the truck ECM or Electonic Onboard Computer. This has to do with the fact that the ECM reading is pulled from the GPS pings and the dashboard reading comes from calculating how many rotation a truck's tires do within 1 mile. How much of a difference and how much is too much? The difference typically falls in the range of 1% - 18%, and should be corrected if the variation amount to over a 20% difference. This is between 80 and 100 miles. The ECM is the most accurate. It typically runs off of the trucks GPS system and as a result provides a more accurate reading for the number of miles traveled by the truck. How does the variation happen? The variation can be connected to a number of different factors. It only affects carriers that run their reported miles directly off the odometer readings the drivers are reporting in their log books which these days are far and few between. It will also likely be looked at during a some kind of mileage audit (example: IFTA) where the mileage reported by the drivers on the logs (reported from dashboard) will be compared to the miles reported from the ECM and the GPS pings sent out by the truck. Typically auditors will take into account the usual variance. The only thing that can really be done is to try and catch the problem before passes the 20% mark and get it corrected in the problem vehicle. The previous information was somewhat incorrect. I was under the impression from someone that I considered a reliable contact that the difference could be adjusted. This was in fact wrong. Freightliner has informed me that adjusting the odometer is illegal and I am still researching to find what should be done when this variation happens. In the mean time I recommend just taking note of the adjustment in case of an IFTA audit. I have found out how the problem is fixed. If there is a variation between the odometer and the ECM, the ECM is replaced so that the numbers match. It would be more accurate just to make an adjustment on the odometer reading by altering the odometer to match the ECM which is the more accurate of the two. However, because this is illegal, the ECM must be switched out to ensure the two match. Limitations on minimum "34-hour restarts"
All 34 hour restarts must include two sleep periods between the hours of 1 a.m. to 5 a.m., home terminal time. 34 hour restarts may only be used once a week. A week in the trucking industry is 168 hours measured from the beginning of the previous restart. A driver may drive only if 8 hours or less have passed since end of driver’s last off-duty or sleeper berth period of at least 30 minutes. This includes any time in a truck or other vehicle except on sleeper berth status. This does not include any time spent resting in a parked vehicle. In all vehicle, except passenger vehicles, this does not include up to 2 hours in a passenger seat before or after 8 consecutive hours in sleeper berth status. “Egregious” - Outstandingly bad; shocking. 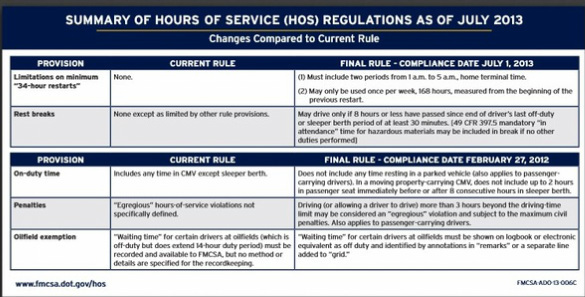 Egregious hours-of-service violations are not yet specifically defined within the law. Driving (or allowing a driver to drive) more than 3 hours beyond their driving-time limit is to be considered an “egregious” violation and subject to the maximum civil penalties. Also applies to passenger-carrying drivers. This is in regards to the filing of unemployment taxes and benefits. I have just discovered a loop in the law that pertains in particular to the transportation industry and I believe I need to get this information out there so that other small companies can be prepared. Be Careful and be prepared! "Hey Blah Blah, I need a load of packaged frozen miniature elephants for a fabulous new project." The shipper prepares an order form for the load and passes it on to it's distribution center. If the shipper has multiple distribution centers such as Wal-Mart or Kroger's, the order form will be sent to one of these distribution center. The selection of the distribution center may determined by the availability of product, the location, the type of product and how soon it needs to arrive, etc. The shipper then contacts an interstate trucking company. The trucking company, having been notified, sends out the nearest unloaded truck available to take the load. This may or may not involve a "dead head" or the truck traveling many miles empty to reach the shipper. An appointment is also set with the shipper at this point, and the shipper may or may not start preparing the load for transport. 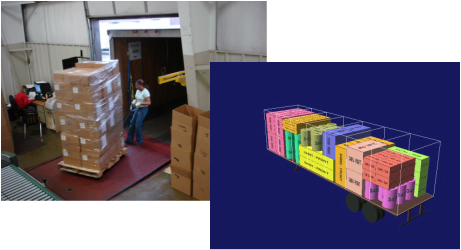 This depends largely on the type of product being shipped, for example, boxes of product are usually loaded on pallets and shrink wrapped. On arriving and going through any security check points, the truck driver will check in with the shipping office. If the load is ready the driver will be assigned a dock door to back into. If not, he or she may be sent to a staging area or parking area to wait for an available door or the load to be ready. 5. When the drivers door is ready, he or she must open up their trailer doors and back up to their assigned dock door. Most dock doors will latch to the trailer on contact and the door signal will turn red to alert the truck not to remove the trailer for safety reasons. Some companies also ask the driver to disconnect from the trailer for various legal reasons. At some point after this the trailer will be loaded by either a forklift driver or a lumper (contracted loading professional). When the product has been fully loaded into the trailer, the person loading the trailer will turn in the necessary paperwork to the shipping office and they will prepare the Bill of Lading (official shipping papers). The driver will be required to sign the paperwork once it is ready and from then on is officially responsible for the load. After receiving the paperwork, the driver will then pull forward of the dock door, secure the load with load locks, close the trailer doors and secure them with seal and a padlock. Then the driver will shift the axels on the trailer to balance out the weight. Finally, the driver will then leave the shipper and head toward the receiving point. The trucking companies sales department will then set up an appointment with the receiver. The driver will then drive anything from a couple of hours to a couple of days, until he or she arrives at the receiver. As it was with the shipper, the driver after arriving will check in with the receiving office. They will hand off the bill of lading which will then be processed into the receiving companies computer system. After this, once again the driver will be assigned another dock door to back into. After backing into the door, the trailer will be unloaded, the product will be un-packaged and accounted for on the bills. Any damaged products, overages (too much of a product) or missing product will be noted down and the driver will need to speak to their claims department so that the situation may be dealt with. Usually, damaged products are usually blamed on the trucking company, while overages and missing products on the shipper. Damaged products are often left to the driver to deal with. Once all this is taken care of, the bills will be signed by the receiving company and the driver will be handed a copy. The driver will then turn in the loads bills just before the next pay period in order to get paid. The receiving company will then distribute the load out to their customers and Mr. Smith receives his packaged frozen miniature elephants for his new project. MPG stands for Miles Per Gallon. Ergo, how many miles you can travel on each gallon. It is the be all and end all of trucking. It defines whether you make profit as a contractor or owner operator, or whether the company you work makes a profit. 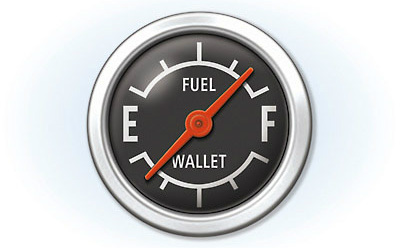 What is good fuel mileage? For a Semi Truck in 2012-2013 good fuel mileage tends to average around 6 - 7 miles per gallon (sometimes higher) this increases every year as newer truck models come on the market and the technology improves. If a Semi Truck is getting below 6 miles a gallon then their may be a mechanical problem with the truck or it might be what we in the industry call a Dudd. Sometimes, a truck will just start falling apart for no reason. There is nothing you can do except get rid of it before it gets rid of you. How do I get good fuel mileage? 1) Drive at 58 - 60 miles and hour. As a truck driver your life is always on the move. Go here. Pickup. Go there. Deliver. Start again on spin cycle. Over. And Over. Again. You just need to slow down, as frustrating as it is that this is adding more driving time to your day making log books slightly more interesting. The fact that every mile an hour that you travel over 60 miles an hour is causing you to lose .1 mpg and this means money is slowly trickling from your pocket. For example, if you slow down from 70 mpg to 65 mpg you will gain .5 mpg. This is a difference between 6 mpg and 6.5 mpg. This pretty rudimentary in the modern world on semi trucks. It is hard to find a semi truck without one. They power all your amenities, keep you cool in the summer and warm in the winter - or the other way round if your weird. It cancels out your idling time. Idling time affects your mpg by the fact of you are burning so many gallons of fuel while moving 0 miles and so it drops very quickly making your average MPG much lower than it would be otherwise. While idling the average truck burns a gallon of fuel an hour - this should give you a fairly good idea. A Semi Truck is supposed to shift at 900 - 1100 RPM while downshifting , and 1300-1500 RPM while upshifting. When you shift around this at higher or lower RPMs then you start to lose fuel mileage. 4) Accelerate as little as possible while maintaining a good speed while going down most hills. Your truck is heavy object and will accelerate by itself well enough. 5) Choose a 13 speed versus a 10 speed- this can improve fuel economy by.2-.3 MPG. It is hard to come by a truck like this these days, because on the whole they make newer trucks only 10 speed, however if you can find one all the best to you. 6) Spec a high torque engine- if you spec an 1850 torque engine versus a 1650 torque engine you can gain more than .2 MPG. Despite the science and tables of constant proof, many drivers still prefer to drive as fast as possible and some companies even encourage it, preferring to go for speed of delivery vs. efficiency in their vehicles. The hours of service is a constant restriction on many drivers who have trouble staying organized enough to maintain a slow speed of driving and keeping themselves from running out of hours. I will admit that I have often traded out fuel efficiency for speed on certain loads especially towards the end of my hours available for the week just to keep within the bounds of the law. So I hope my advice helps, Safe Driving!!! A freight broker is an individual or company that serves as a liaison between another individual or company that needs shipping services and an authorized motor carrier. Though a freight broker plays an important role in the movement of cargo, the broker doesn't function as a shipper or a carrier. Instead, a freight broker works to determine the needs of a shipper and connects that shipper with a carrier willing to transport the items at an acceptable price. To operate as a freight broker, a business or individual must obtain a license from the Federal Motor Carrier Safety Administration (FMCSA). Freight brokers are also expected to carry insurance to protect both their business clients and their customers from loss. In many areas, freight brokers are required to carry surety bonds as well. One thing not mentioned within this explanation is that some trucking companies are freight brokers. Many larger carriers such as Landstar and Prime, for example are freight broker companies and are registered as such. They primarily supply their own company trucks or contractors solely contracted to them with loads, but also supply other smaller carriers signed on with them. what does a broker typically earn off of a load? Brokering is a commission and percentage based industry. Your income is generated by the commissions you earn on each load. You'll be paid one of two ways: You can bill the shipper the amount you're going to pay the carrier plus the amount of your commission, or the carrier can bill the shipper directly and then pay you a commission from its revenue. The most common way to handle billing and commissions is to have the carrier bill you and then you bill your customers. Your commission is negotiable, and you can get whatever the traffic will bear. The average broker's commission is between 5 and 11 percent of the shipping charges, sometimes higher. Keep in mind that your commission is your gross revenue, and out of that you must pay your overhead: rent, taxes, payroll, sales commissions, utilities, debts and so on. Ron W. estimates that most brokers are lucky to earn a net profit of 1 to 2 percent after expenses. It is really a difficult business especially in a downed economy, but provided you understand your freight lanes and have good contacts (especially this! starting out as a truck driver will give you these contacts!) you can still do really well. How do I know if I am paying a broker fee? If you are a company driver and paid by the mile, you will never know and nor will it affect you if the company you work for is paying a broker for your load. However, if you are a contractor or a small trucking company, if there is a broker fee it will be included with the settlement from you broker or the carrier you are contracted through. It should be also included in the price break down given to you before you commit to a load. Well, as I mentioned before, many of the larger motor carriers have their own brokerage licenses, but if you prefer to go local so you can meet and get to know the person you are dealing with, then a lot of smaller agencies have websites which you can access them through. However, be weary, there are many different types of brokers and not all of them are reliable. So, whether you are a trucker, a motor carrier, a shipper at some point you will deal with a broker so i hope this info helps you. Safe Driving! I have been trucking for 6 years. It is not remotely what I wanted to do with my life and it has taken me longer to learn than most as a result I may be a good person to teach others new to the industry how to go about doing it.